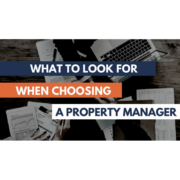 Specialized Property Management is the leading manager of single family and small, multi-family dwellings in Dallas and the surrounding areas. Homeowners trust us to safeguard their rental investments and protect their cash flow. Real estate agents also partner with us using our referral program to earn extra cash. Our Dallas property management office offers a wide variety of services. With more than 30 years of experience, our knowledge of the rental industry surpasses our competitors. We help landlords with all areas of property management – marketing, leasing, maintenance, inspections, accounting, collections, and evictions. Our clients have access to a personal online portal so they can always remain aware of what is happening with their property. The Dallas property managers at Specialized Property Management understand and continue to stay up-to-date on all local, state, and federal laws and regulations. Violation fines decrease cash flow. That’s why we educate our clients on these laws to make sure they avoid costly legal pitfalls. Complying with legal regulations also reduces vacancy time and tenant turnover. Tenants tend to better maintain and upkeep a rental home when they see the homeowner values the property. 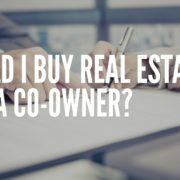 In addition, real estate agents can become recognized partners with our office. When a property owner decides to rent instead of sell, agents can take part in our referral program. They can refer their clients to Specialized Property Management and receive cash for every referral that results in a management agreement. Then, when the owner is ready to sell, our office hands off the property back to the agent once again. Specialized Property Management is a Dallas property management team you can trust. Our experts want to see you succeed. A rental investment brings a better return when managed and maintained by experienced professionals. We work hard to help you earn more money and increase your bottom line. See what our staff can do for you. Contact us today for more information.